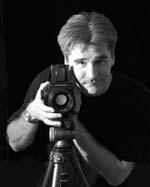 Chris Hawkins is a photographer, web designer, project manager, search engine optimizer, silversmith, teacher, explorer and many other things, he is easily interested and excited about the strangest of things. Since the mid 1990’s Chris has been dabbling with electronic publishing, working freelance originally under the pushing it desktop publishing banner and then under his own name. Always close to a camera of some form, he has travelled to some of the more remote places on earth, photographing the things he saw.